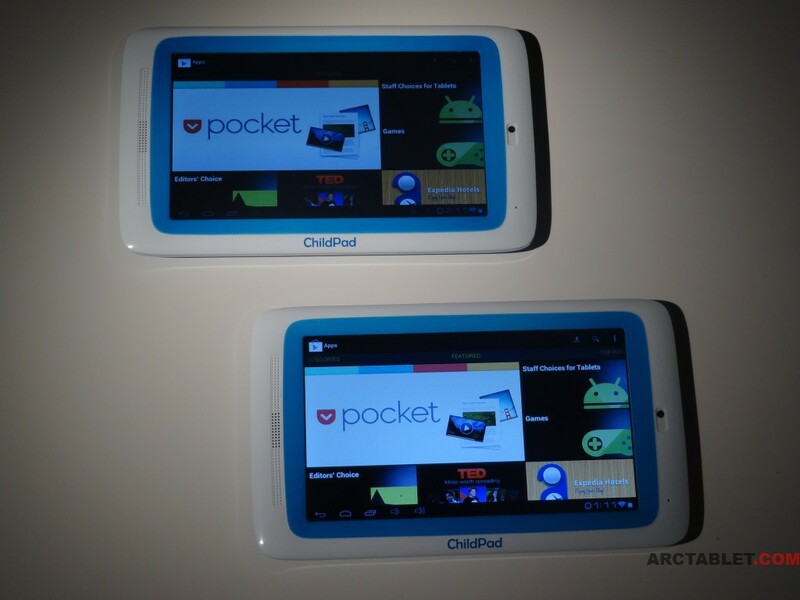 The Arnova ChildPad is an children-optimised Android 4.0 ICS Android tablet with great features for an affordable price. 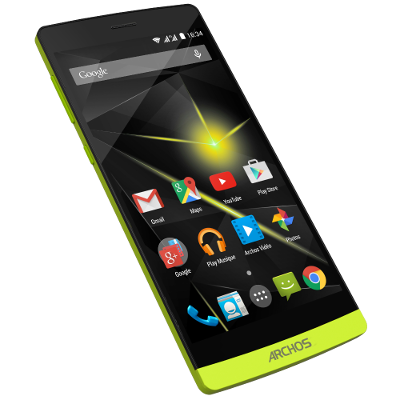 It comes with Android 4.0.3 Ice Cream Sandwich, featuring a Rockchip RK2918 CPU, 1 Gb of RAM and is available with capacitive or resistive screens. The lack of Google Play (formerly Android Market) support is one the biggest inconvenience on the device, we are happy to bring you a solution. We built a custom firmware to add Google Play/Android Market and full root with read-write access to /system partition. The firmware is available in two versions - one for the capacitive ChildPad and another one for the resistive. Check our Android 4.0.4 Custom Firmware which brings even more awesome features. Our custom firmware can be installed in two ways. 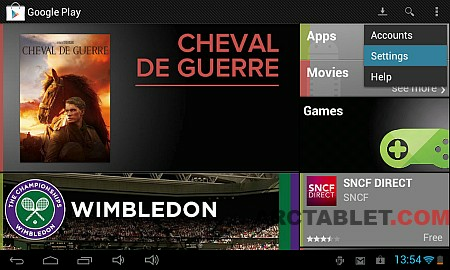 The first method is the easiest and will let you have Google Play running in about 10 minutes. The second method erases all the data stored on the tablet, but uses a safer approach. Please note that this flashing method is easy to run but includes the same risks as a regular firmware flash. If it goes wrong for some reason and bricks your tablet, the only way to recover it (if the hardware isn't damaged) will be to use Rockchip Flashing tool. It keeps the data and installed programs. Choose one of the two firmwares from the custom firmware download section below, depending on what type of touchscreen your ChildPad has. Please note that the firmwares are also available through our Arctools application, but you would need to side-load Arctools, because it is filtered out in Kids Store of Appslib. Ater disconnecting the usb cable, "Firmware updating" dialog will be asked for confirmation to install the package (=flash the firmware) click Install button. The tablet will reboot and install the firmware. After a few minutes, your tablet will be updated with the custom firmware. Setup your Account on Google Play Store and enjoy ! Before starting, please make sure you backup all your existing apps, data and files that are on your tablet as they will be erased during the flash process. Also make sure your device is charged for more than 35% and is still charging via usb. Choose one of the two firmwares from the custom firmware download section below, depending on what type of touchscreen your ChildPad has and extract the custom firmware image (update.img) on your computer hard drive. Please follow the Rockchip Flashing tool procedure: that will explain how to download Rockchip flashing tool, unpack the archive, put your device into flashing mode and flash the custom firmware file that you have unpacked in Step 1. After Rockchip flasher has transferred the custom firmware to the tablet, the device will restart and install the firmware. Finally, you will be back to Arnova default startup wizard. You will find the 3 easy steps of the installation procedure in the following video, see how to get Google Play and root to your Arnova ChildPad in less than 10 minutes(video shows flashing an Arnova 10b G3, the flashing method for the ChildPad is the same) . Choose one of the two firmwares from the custom firmware download section below, depending on what type of touchscreen (capacitive or resistive) your ChildPad has. This firmware is specific to the Arnova ChildPad resistive screen model and should not be installed on other devices. This firmware is specific to the Arnova ChildPad capacitive screen model and should not be installed on other devices. This custom firmware will open your ChildPad thousands of applications in Google Play, but you may want to enable filtering, so your little ones do not see applications they are not supposed to see. Make sure that only "Everyone" rating is checked. According to Google, "Everyone" setting should not contain objectionable material, where "Low maturity" setting may include mild cartoon or fantasy violence or other potentially offensive content. 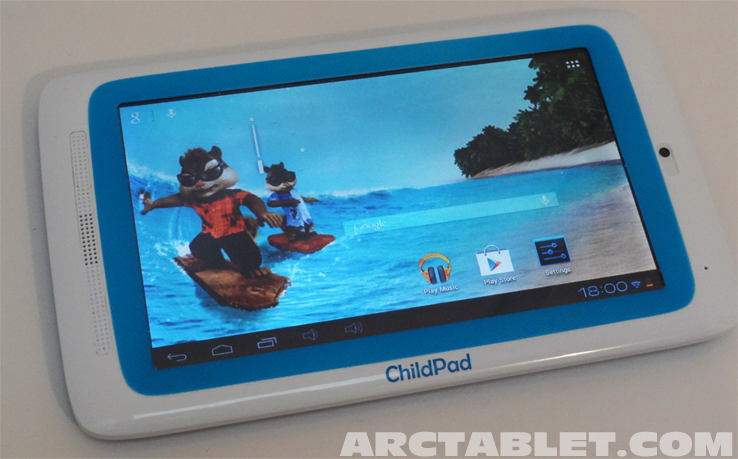 Let us know how it works for you in our Arnova ChildPad forum. Any chance on getting the installation partition upped from 512 to 2 gigs like the Finless ROM? We will probably make update with increased partition for /data soon. Which size would you prefer ? 1 Gb, 1.5 Gb or 2 Gb ? 1.5Gb would be prefered, i'm running a 16 gig sd card for vids and audio so 1.5 would allow me to install all the kid books i want. Thanks guys you guys saved this tablet from being weaksauce. Any timeframe for this update? People always say - when time permits. 🙂 We are quite busy with all the firmware stuff for the ChildPad and other models, but once I will have my own linux setup running, it should go faster. 😉 Really can't give you any precise date. No worries, you guys are doing great. I found another little quirk about the child pad. Apparently every time i reboot any apps or folders on the home screen get removed and its reset to the default folders. Anything you guys can look into. I would like to install the custom firmware on the childpad, but how can I get back if something fails? I have the childpad with capazitive display and did not find any original firmware for that. And: Are the original apps still there in the custom firmware? If something will go wrong, we could send you the recompiled default fw from our capacitive unit, or you could wait for Arnova to upload it on their official website. All the apps are still there when you use the easy flashing method, when using RKBatchtools, everything(pictures, music etc.) will be erased. Everything worked smoothly and seems to be perfekt - thanks for the excellent work! First things first... GREAT JOB ! I do not want to put too much pressure on the shoulders of you developers but I have 1 small question. Maybe a stupid question. Is it possible to have google+ and google talk to work on this image? I tried to install the google+ via the play store but when selecting the account it always returned errors from the server. And google talk I took the apk from my SGS2 and copied it over and installed it fine. But when launching it, it stopped and closed. Thanks for the Play Store, it works perfectly. One thing I did notice: it only works with existing accounts. If you want to create a new account from within, the Store crashes. But you can of course create a new account through the web without any problems. As said before, Google Talk would be really nice since it also has a camera. Now, as someone completely new to Android, I've googled for a way to install apps on the sd card instead of the internal storage to circumvent the 512 MB limit. But nothing worked so far. 2) Using the ADB shell and setting "pm setInstallLocation 2"
Does anyone know a way to install apps on the sd card or maybe move installed apps there?